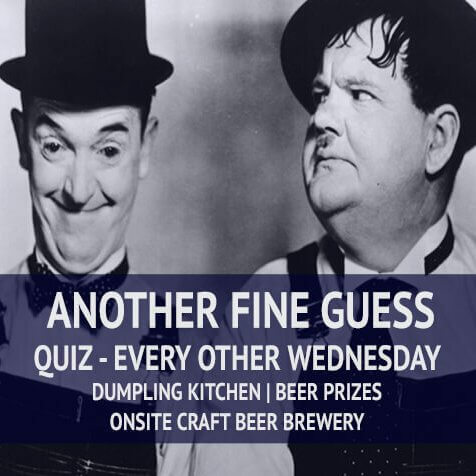 Every other Wednesday our resident quiz master Ben Eckersley will probe the very depths of your brains in return for drink-based prizes. Expect a mind-opening mix of music, film, geography, history, science, culture, sport & general knowledge alongside a selection of complex connections, cryptic clues and lateral brainteasers. This is a quiz that will take you on a journey through knowledge you forgot you had! (£1 per person entry). Plus: Craft Beer from the Regather Brewery & Homemade Taiwanese food provided by Shuju Kitchen. Vegan & Meat Friendly. Made using local ingredients.